Our next concert will be on Saturday evening 6 april 2019 in the Schönbergzaal of the Royal Conservatory in The Hague. 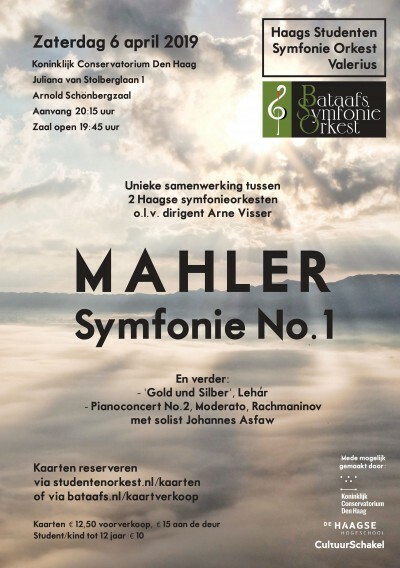 Together with the Student Orchestra Valerius we will perform Mahler-I. Please keep an eye on our (Dutch only) Facebook page for news about this concert!